New Page Books, 9781632650061, 256pp. Nestled deep in Litchfield Hills, Connecticut, a 1790 farmhouse sits near the epicenter of a paranormal commotion. The family that resides there regularly encounters its own ancestors and strangers--human and non-human--who seemingly occupy the same physical space in our world while remaining in their own, parallel worlds. When famous ghost hunters Ed and Lorraine Warren investigated, they dubbed it "Ghost Central." This compelling work includes many other unexplainable details of a wide variety of phenomena that frequently occur in this otherwise normal area of Connecticut, which may also be the site of a secret military base. After reading The Haunted House Diaries, you will undoubtedly wonder: Are our assumptions about the paranormal all wrong? William J. Hall was born and raised in Bridgeport, Connecticut, where the events of this book took place. He watched the news coverage of the Lindley Street haunting on TV when he was 10 years old. Hall is professionally equipped to recognize trickery. After more than 25 years as a performing magician, he knows how to create and recognize illusions. He is experienced in researching the unexplained, from folklore and urban legend to fortune telling, the pyramids, and other mysterious tales. His syndicated 1990's column "Magic and the Unknown" ran for six years in multiple local papers in his home state. Hall has two sons and resides in Plainville, Connecticut. "Bill Hall chronicles his investigation into claims of an allegedly haunted house with great enthusiasm, offering a tremendous amount of detail and evidence not found in similar works. 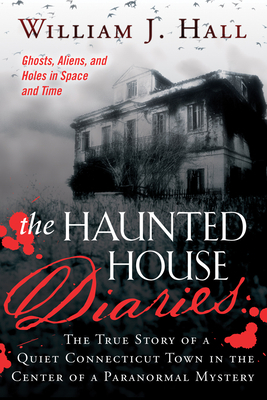 His conscientious efforts to lay out facts, observations and testimony in a clear, concise manner makes The Haunted House Diaries a compelling read for anyone who enjoys the paranormal." "In 45 years of paranormal research, this is the deepest and widest-ranging case I've ever tackled. It makes me wonder what I was missing in earlier cases."